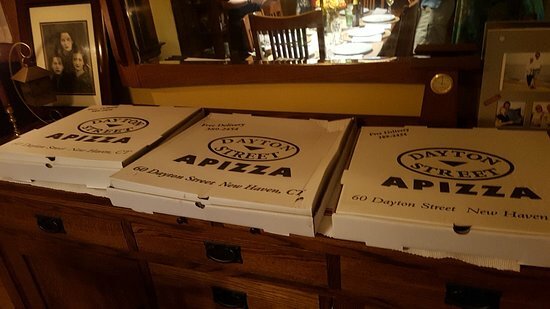 There aren't enough food, service, value or atmosphere ratings for Dayton Street Apizza, Connecticut yet. Be one of the first to write a review! This is the best pizza place that delivers to my house. Pizza is great even though it is a little pricy. I will definitely recommend. The Margherita pizza is really delicious, and the salads are very good, if a little expensive. 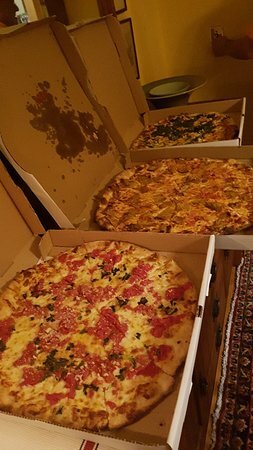 My vegetarian friend and I love to eat there and order more than we need so as to have extras for the next day. I ordered a meatball and sausage combo grinder, it was excellent. The sauce is the best I have tasted in a restaurant... Pricy but well worth the money!! Get quick answers from Dayton Street Apizza staff and past visitors.